A few years ago, there was a plan to make a film adaptation of the novel This Earth of Mankind. 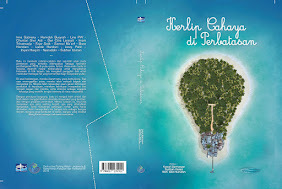 Initially, the film was set to be directed by Garin Nugroho. But the plan was canceled. This year, the plan was again realized by director Riri Riza(40). Riri is a famous director who makes bestseller films such as Gie (2005) and Laskar Pelangi (2008). According to an interview in one mass media, the shooting process was completed on March 2012. The film will show on screen at the end of 2012. According to Riri, beautiful model Mariana Renata will act as Annelies Mellema. 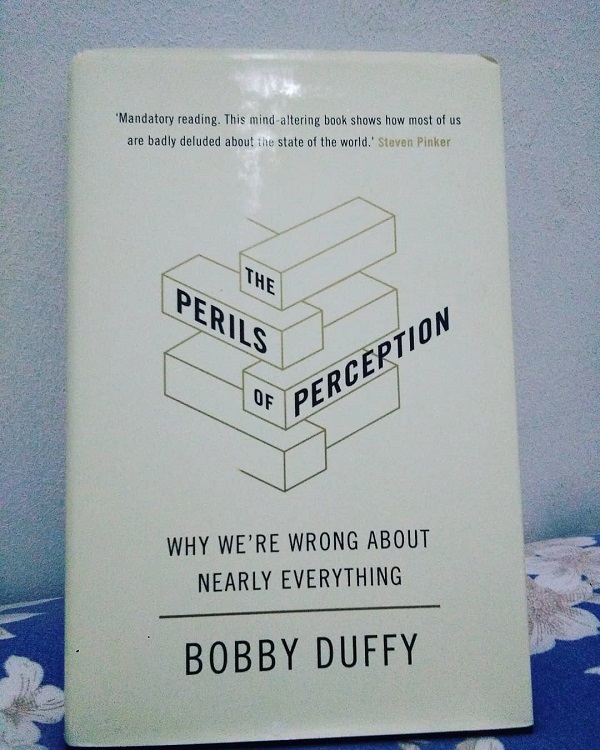 Not many people know how important this book to raise nationalism in Indonesia. 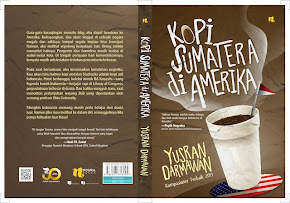 The Indonesian people forget that this book tells about an important figure that triggers the idea of independence. This figure is Tirto Adhi Soerjo. He was a light in the middle of the dark. Tirto Adhi Soerjo (1880-1918) was an Indonesian national hero known as the early promoter of the need for national awakening. He was the first native who founded and led a newspaper by himself. He made his newspaper to launch critical opinions against the colonial government. He is considered as the Father of the National Press. He was the first Indonesian man who talked about the rise of nationalism in the Netherland East Indies. Historian Takashi Shiraishi (1991) mentioned the largest contributions of Tirto to Indonesia. 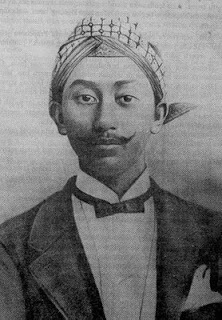 Tirto was not only the Father of Indonesian Modern Press, but also the first native editor and publisher, one of the first native writers who wrote fiction in Batavian Malay, the founder of some modern voluntary associations (the Sarikat Prijaji and the Sarikat Dagang Islam), the first native to establish a limited company (NV, Naamlooze Vennootschap), the first native aristocrat-turned-entrepreneur and the first who called for the emancipation of native women - in short, a pioneer of the Indonesian national awakening. Not many people know who Tirto Adi Soerjo is, especially as a pioneer in the field of media and the national movement. His story is told very clearly in Pramoedya Ananta Toer’s novels called the Buru tetralogy. In the era of the New Order, unfortunately, the government banned these books. 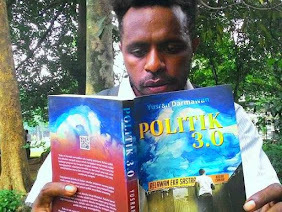 When the regime collapses, these books and consequently, some elements of the story about Tirto became very popular in Indonesia. 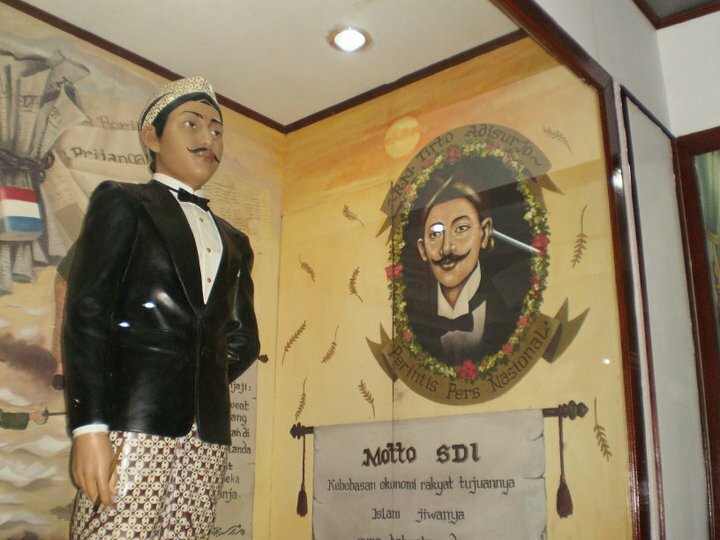 Tirto Adhi Soerjo was a noble Javanese who initiated the rise of nationalism. Through his skills as an educated native, he established the first modern organization; Sarikat Priyayi (SP). This organization was run only for several months. It also never taught anti-colonial political consciousness because it incorporated the Javanese priyayi who were still comfortable with their noble status. This organization became the first medium for the natives to discuss the embryo of the nation. He was born in Blora (Central Java), in 1880. He was named Raden Djokomono. When he was an adult, he changed his name to Tirto Adhi Soerjo. The name ‘Raden’ in front of his name was a symbol that he was a nobleman or a descendant of the king. His father Raden Haji Ngabehi Moehammad Chan Tirtodhipoero was an employee of the tax office. He only lived with his parents for several years before moving away. He studied at the ELS (Europeesche Lagere School) in Semarang (Central Java). Then, he moved to Madiun following his uncle RMA Brotodiningrat who served as Regent (Bupati) of Madiun. After that, he moved to Rembang following his older brother, RM Tirto Adhi Koesoemo, chief prosecutor in Rembang. His grandfather was RMT Tirtonoto who served as Regent of Bojonegoro. Tirto families were descendants of Mangkunegara I or Prince Sambernyowo. Tirto also had a familial relationship with the RMAA Tjokronegoro, Regent of Blora, who served in 1912. At the age of 14, he graduated from the ELS. Then, he moved to Batavia (Jakarta) to continue his education at Hogeere Burger School (HBS). After graduating from this school, he continued his education to STOVIA (School van Inlandsche Artschen Opleiding tot), the medical school for the Javanese noble class. Unfortunately, he never graduated from this school. He only reached the 4th level with three years of preparatory classes. 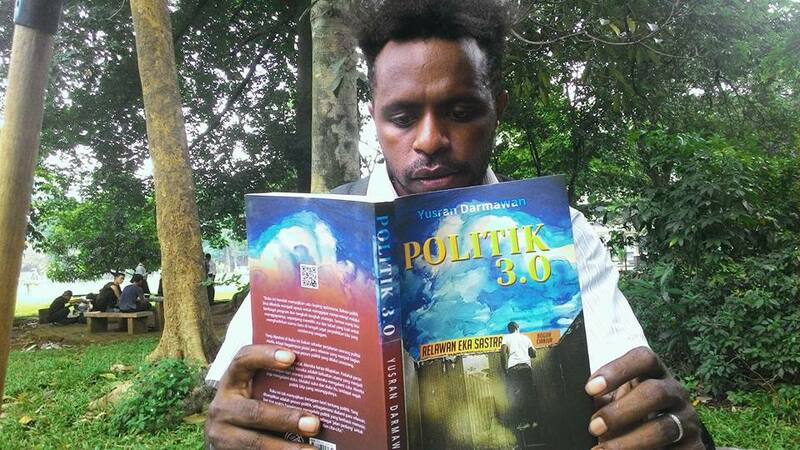 At that time, Tirto already enjoyed to write about political situation. Starting from that point, Tirto’s life story began to unfold gradually. In 1894-1895, Tirto sent numerous articles to a Malay-language newspaper published in Batavia. For two years, he became a freelance writer for Chabar Hindia Olanda, the newspaper that was published in Batavia between 1888-1897. Because the paper went bankrupt, he moved to Pembrita Betawi newspaper that was published from 1884 to 1916. His knowledge and intellectual horizon expanded when he served as an editor in this newspaper, precisely after meeting with Karel Wijbrands, chief editor of the Niews van den Dag newspaper. The meeting intensified because Pembrita Betawi and Niews van den Dag had the same office. Although they met for only a few months, Tirto absorbed a lot of knowledge and experience from Wijbrands. Wijbrands taught him about how to manage the publishing and how to lead in the newsroom. Wijbrands also encouraged him to study law and governance in order to know the limits of the Dutch East Indies as well as citizens’ rights and obligations. Tirto also studied and admired Multatuli, the famous author who criticized the colonial government. 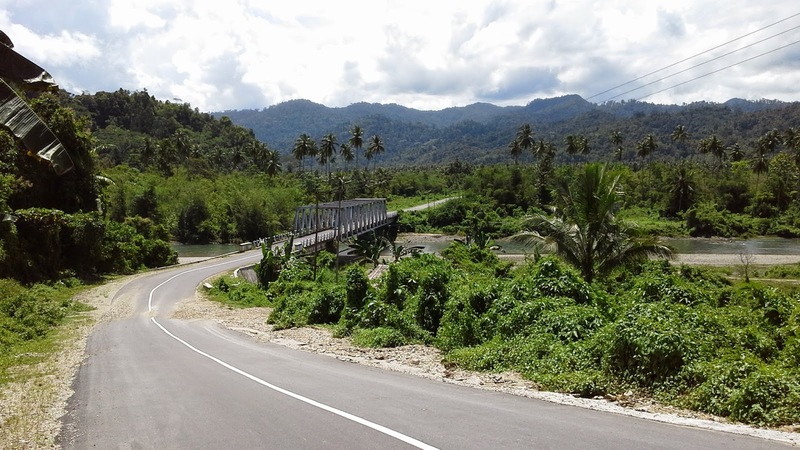 After marriage with R.A. Siti Habibah, he lived in Pasircabe village. It was not far from Bandung. Then, he was offered by Regent of Cianjur, RAA Prawiradiredja, to publish his own newspaper. He published Soenda Berita in 1903. This newspaper became the first native newspaper in Malay, which was financed, printed, and handled by the natives. Soenda Berita stopped its publication in 1906. Tirto lived to Bogor, then with some Prijaji in Batavia, he founded Sarikat Prijaji. The number of members of this organization was 700. 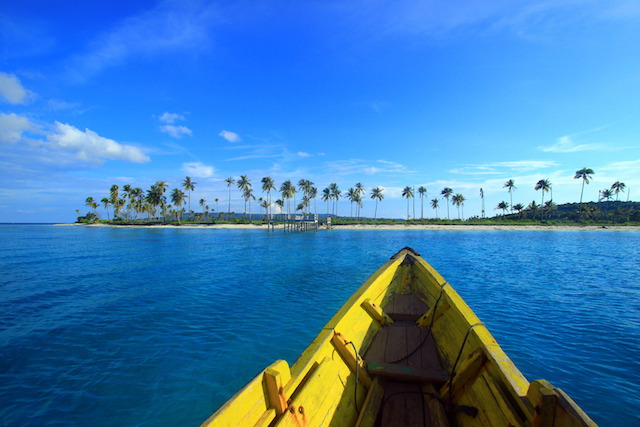 They came from various regions in the Dutch East Indies. Sarikat Prijaji wanted a newspaper to voice their ideas and aspiration more than what Soenda Berita could accomodate. 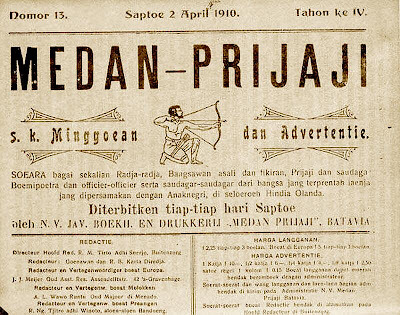 On January 1, 1907, Medan Prijaji was first published. Indonesian national awakening actually came from Medan Prijaji that Tirto published in 1907. Why? Because the idea of ​​nationalism was first written, read and spread, promoting a new kind of identity beyond the initial awareness of religious differences, ethnicity, and organizational affiliation. Shiraishi (1990) noted that Tirto created his own journalistic style in Medan Prijaji, which was militant, sarcastic in tone mixing many Javanese and Dutch words in his Batavian Malay. Soon it became the leading native newspaper of the day with its subscribers reaching two thousand in early 1911. Though the title of the newspaper was Medan Prijaji, it was no longer a priyayi-only forum. Its motto says, “the voice for all the native rulers, aristocrats, and intellectuals, priyayi, native merchants, and officers as well as merchants of other subordinated peoples made equal (in status) with the Sons of the Country (anaknegeri) all over the Dutch Indies.” The nation was now imagined as an entity with clear demarcation –in Tirto Adhi Soerjo’s own words as “the sons of the country,” the Dutch Indies. This was the meaning of national awakening. 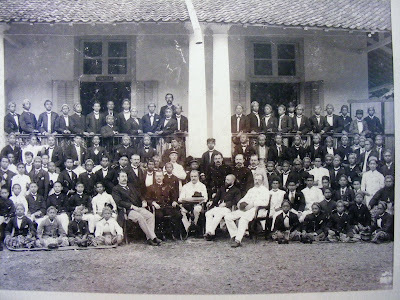 Tirto Adhi Soerjo invited many activists to meet at his home in Bogor on March 27, 1909. They agreed to establish an Islamic organization called Sarikat Dagang Islam. This association led by Haji Samanudhi, a merchant in Bogor. 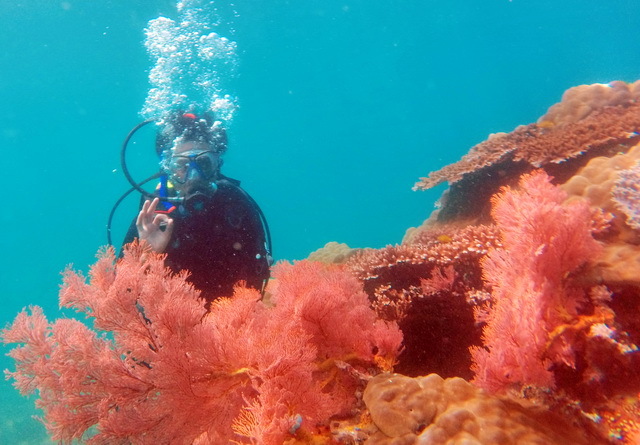 Tirto Adhi Soerjo itself serves as the Secretary-Advisor. Tirto was a part of the generation who received a good education because of the Dutch ethical politics. This "new generation" of educated citizens was considered to have a high degree of social mobility although they still remained rooted in the traditional political structures. They became a new social and political force and with the backbone of the movement in Surakarta. Later they established Sarikat Islam (SI) as a pioneer organization based in Surakarta. This organization originated from many local batik entrepreneurs (Rekso Rumekso) and later evolved into SI. In the beginning, SI was an association for mutual help against the ‘bandits’ who made the area of Lawean insecure, presumably because of their habit to steal batik cloth that was put outside for drying in the gardens of batik workshops. The initial leaders of SI were Tjokroaminoto, H. Samanhudi, and Mas Marco Kartodikromo, who were also a "product" of the ethical politics of the Dutch administration. Shiraishi (1990) describes this strategy of SI as a bumiputera organization dealing with various restrictions of the Dutch East Indian government. He also points out the competition between SI with Chinese trade organizations. Takashi further describes how the emergence of various factions in SI tears the organization apart into several groups. At that time, the social situation was rapidly changing. At the end of World War I, the pergerakan or movement experienced a profound transformation. New leaders and centers of the movement started to emerge again. Since the late 1918, SI movement joined forces with the labor union as a vanguard organization of the movement. This "age of motion" during the 1917-1920 periods was marked by the opening of the Volksraad or the colonial parliament, the resurrection of Semaoen and SI in Semarang, the rise of Java Dwipa movement, TNKM, the emergence of labor union movement and the rise of PFB and Soerjopranoto. Those events significantly affected the situation of the movement in Surakarta. In 1909, Tirto Adhi Soerjo through Medan Prijaji revealed the scandal that was made ​​by Aspirants Controller Purworejo A. Simon. He wrote that A. Simon called "snot aap" (monkey) had conspired to appoint a district officer in the village headman Bapangan. The head of district that was elected by majority vote was arrested, and thrown into the Bay of Lampung Betung. The collapsed period of Medan Prijaji began with some news about the Regent of Rembang, R. Adipati Djojodiningrat (RA Kartini's husband) who was accused of power abuse on May 17, 1911. Tirto was accused that he insulted Ravenswaai Resident and Boissevains Resident. Tirto Adhi Soerjo was brought to the court. He was exiled to Ambon for 6 months. At the same time, management errors in Medan Prijaji led to severe financial difficulties and bankruptcy. 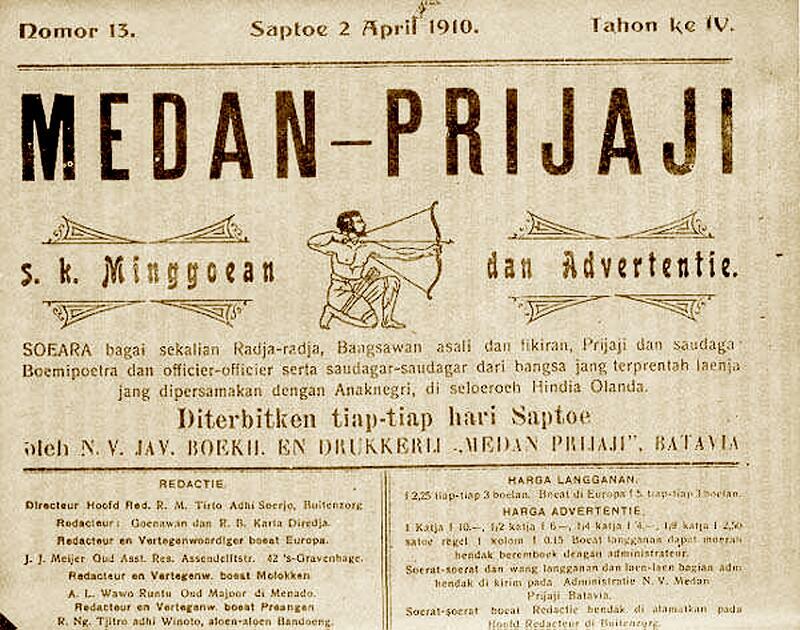 Medan Prijaji ceased publication on August 22, 1912. After returning from Ambon, he stayed at the Hotel Medan Prijaji. Between 1914-1918, Tirto was ill and eventually died on December 7, 1918. At first he was buried in Manggadua, Jakarta, and then transferred to Bogor in 1973. On his tombstone, there is written: "Pioneer of Independence; Pioneer of Indonesian Press"
There are some controversies that are associated with Tirto Adhi Soerjo position as a national hero. First, why did he earn a national hero title in 2006. Why was his role neglected? Could this be related to the position of Pramoedya, as the author who promoted Tirto, as a Communist? Second, the role of Sarikat Islam was neglected and ignored during the New Order era. This organization is rarely mentioned in history books as a inspiration of national revival, while the Boedi Oetomo always referred to the beginning of a national revival. As the person behind the birth of Sarikat Islam (SI), Tirto consequently was also forgotten by history. Third, journalist Andreas Harsono questioned the Medan Prijaji as a milestone of the national press. He said there were 150 years of press history before Medan Prijaji in the Netherlands East Indies. For instance, historian Abdurrachman Surjomihardjo in Beberapa Segi Perkembangan Sejarah Pers Indonesia noted Nouvelles Bataviasche newspaper that was published in 1744-1746 as the first publication in Batavia. The story of Tirto’s struggle was depicted in fiction books by Pramoedya Ananta Toer in the early of 1980's. 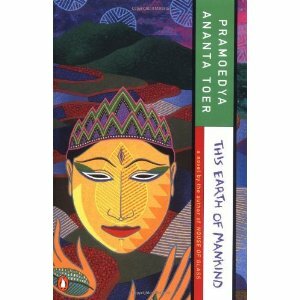 Pramoedya wrote about Minke as personification of Tirto in four books such as This Earth of Mankind, Child of All Nations, Footsteps, and House of Glass. These four books are sometimes called the Buru tetralogy. Pramoedya also wrote Sang Pemula as a short biography of Tirto. 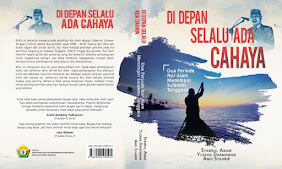 For some reason, the government prohibited Pramoedya tetralogy. 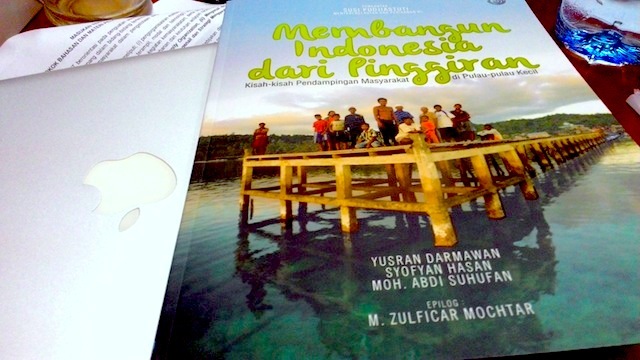 Since the reformation era, Pramoedya books can be seen everywhere in Indonesia. 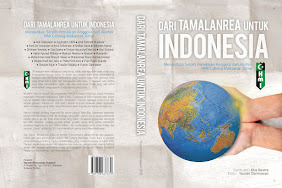 Pramoedya’s works about Tirto as Minke has been widely translated into 33 languages and recognized by the international audience. 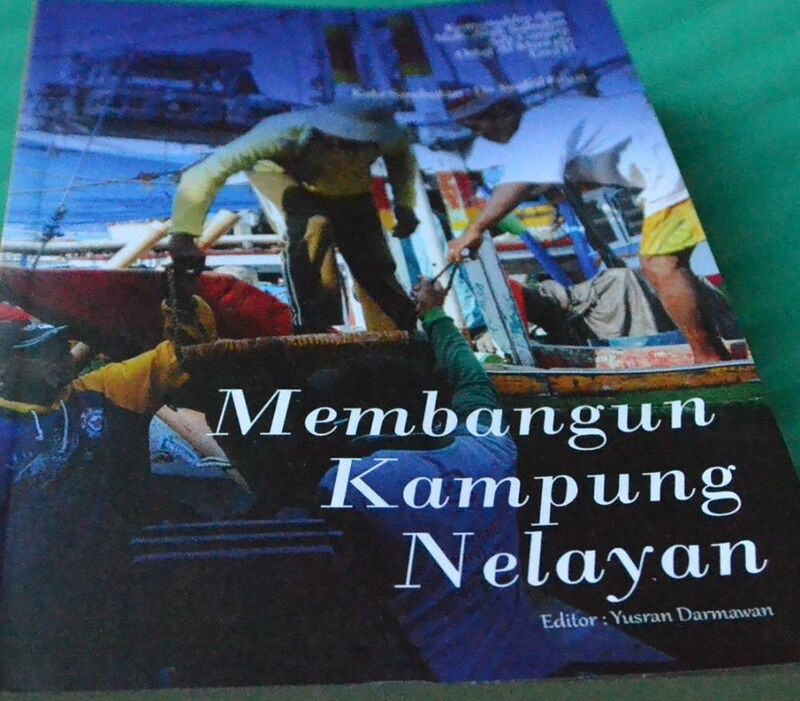 In addition to historical background which is certainly more interesting as a reference school history, Pramoedya decribes the feudal state and colonial system. This Earth of Mankind tells the story of Minke, a Javanese minor royal who studies at a Hogere Burger School (HBS) in an era when only the descendants of the European colonizers can expect to attain this level of education. Minke is a talented young writer whose works are published in several Dutch-language journals and are widely admired. But as a "native", Minke is disliked by many of his fellow-students, who all claim some European descent. He is portrayed as being bold in opposing the injustices imposed upon his fellow Javanese as well as challenging aspects of his own culture. Minke is introduced to an extremely unusual Indonesian woman, Nyai Ontosoroh, who is the concubine of a Dutch man called Herman Mellema. Minke falls in love with their daughter, Annelies, whom he eventually marries in an Islamic wedding in accordance with "native" customs, but which, according to Dutch law, has no legal validity because it was conducted without the consent of the under-aged Annelies' legal, Dutch guardians. Since 2007, the play Nyai Ontosoroh derived from a novel ‘This Earth of Mankind’ by Pramoedya Ananta Toer had been performed. In this story, Tirto’s figure appeared in the character of Minke, a HBS student who later fell in love with Annelies Mellema, daughter of Nyai Ontosoroh. Although the story was about Nyai Ontosoroh, the figure of Minke (Tirto Adhi Soerjo) was a major figure in this theater. Since 2007, Nyai Ontosoroh was staged nine times by nine directors in nine regions in Indonesia. The show is very popular. In 2010, the drama ‘They Call Me Nyai Ontosoroh’ had been successfully staged in Tropentheater (Amsterdam), Tong Tong Festival (Den Haag), and Zuiderpershuis Culturel Centrum (Antwerpen).